Richmond Containers is a market leader in supplying primary packaging to a variety of industry sectors. Based in Glasgow, UK, we offer a complete range of support services to assist in specification, decoration, stockholding and scheduled delivery service to a wide client base throughout the globe. Richmond’s holistic, realistic and passionate attitude to packaging solutions assures each & every product we and the customer produce together, will be ethical, practical and add value along the way. As a company our corporate foundation embodies the personal values of our founders in a mission, vision and values that influence every member of the team in every decision they make. Every day. We are passionate about our customers’ containers, packaging and branding needs. As individuals and as a team we strive to make great packaging accessible to all. Richmond will be recognised as the quality provider of service-based solutions because our experience is the trusted solution, and our qualities the industry benchmark. We are dedicated to continuously improving our customer service and base our ever-growing product range on our clients’ needs. Our corporate culture and values support us in this and, they are probably no different to your own guidelines. 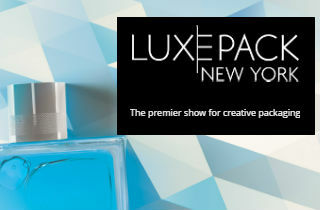 Luxury Packaging 2016 - we'll be there!